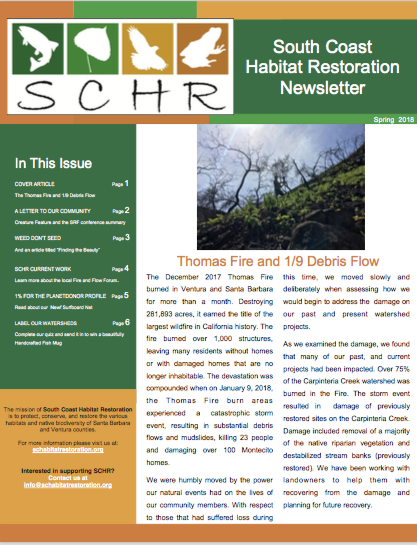 The Refugio Creek Mouth habitat restoration project is located at the mouth of the creek at Refugio State Beach, on State Parks property. The goal of the project is to increase the habitat and ecological value of the estuary by removing non-native flora from the banks of the creek including non native Palms, Arundo, Pepper trees, and Myoporums. These have been replaced with a variety of native riparian and wetland species that will provide a greater diversity of forage and nesting habitats for birds as well as shade and cover for aquatic species in the creek. The project began in the Fall of 2013, with the removal of native trees and shrubs. Native plants were installed at the site with the help of community volunteers starting in January 2014. Planting is now complete at the site and the natives are beginning to get established. 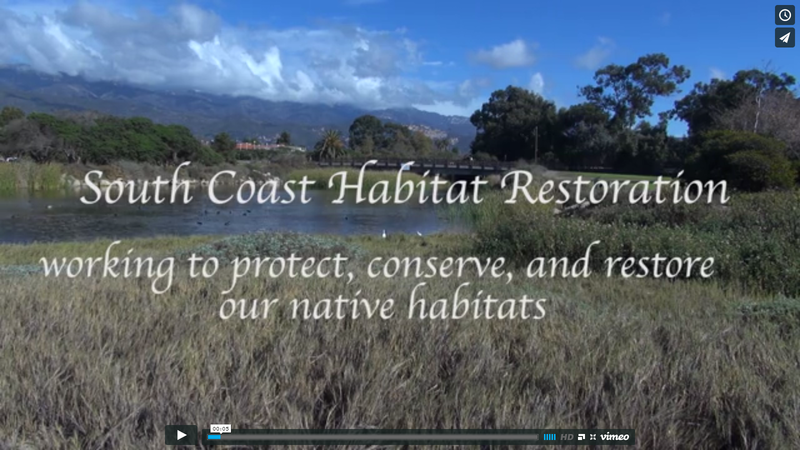 The Refugio Creek Mouth Restoration project is made possible with funding from the Earth Island Institute and support from the California Coastal Conservancy, the Wildlife Conservation Board, the Southern California Wetlands Recovery Project, and Southern California Edison.